The dean of UC Berkeley School of Law has decided to strip the name of an early benefactor of the school off one of its buildings and stop its use with organizations and student activities because of anti-Chinese immigration beliefs the benefactor held in the 1800s. Dean Erwin Chemerinsky recently made the decision to officially stop using the Boalt name in connection with the law school, but still plans to honor Boalt’s wife’s legacy in some fashion. Concerns over John Boalt’s legacy at Berkeley stemmed from Boalt’s authoring of an 1877 paper titled “The Chinese Question.” The paper advocated for limiting Chinese immigration to the United States. 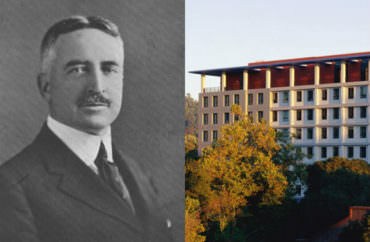 Boalt’s legacy comes by way of his wife, Elizabeth Boalt, who paid for the construction of a new building for the university’s growing law school in the early 20th century. She requested it be named after her husband in an effort to memorialize him. In 1951, the law school was moved to a larger building that kept Boalt’s name but adopted titles for its library and moot court space. In 2007, the law school officially changed its name from “UC Berkeley’s Boalt Hall School of Law” to “UC Berkeley School of Law.” The name of the building, “Boalt Hall,” remained. In the fall of 2017, Dean Chemerinsky organized a committee to assess the continued usage of Boalt’s name. Last June, the committee presented the dean with a report concluding that Boalt’s “legacy of racism and bigotry” went against the mission of the university, and recommended dissociating from the Boalt name. However, the report acknowledged the significant contributions of Boalt’s wife. The school faced the challenge of balancing the contributions of Elizabeth Boalt with the offensive beliefs of her husband. To solve the problem, Dean Chemerinsky announced that the school would dissociate itself from the Boalt name, while taking time to come up with a plan to honor Elizabeth Boalt’s legacy. “With the end of the semester and holidays, we have not finalized plans for this. I hope to do so by the end of this academic year,” Chemerinsky wrote in an email to The College Fix. He did not address any specific proposals for continuing to honor Elizabeth Boalt’s legacy at the school. A letter posted Nov. 13 announced the dean’s decision that the law school will cease using the Boalt name. It also encouraged organizations in the school to cease using the name. Chemerinsky said he received more than 600 responses on the issue, with about 60 percent in favoring eliminating the Boalt name and about 40 percent wanting to keep it. “Many who wrote me opposing the name change observed that many other notable individuals – George Washington, Thomas Jefferson, James Madison, Albert Einstein, Earl Warren – owned slaves or said racist things or supported racist policies. But I think in those instances there are good reasons to honor these individuals notwithstanding their racist statements and actions. I cannot think of a comparable reason why we should continue to honor John Boalt,” the dean stated. Ultimately, he added, his rationale was that the law school was never officially named after Boalt and the donation does not require the building be named after him. “John Boalt said racist things, especially about those of Chinese ancestry, and also about African-Americans and Native Americans,” he added. “We must remember the racism he expressed as it is part of the history of our country and region and was said by someone whose name we have been associated with for a century,” the dean stated.